THE BOOK: The Sanguinist’s Daughter. SUMMARY: What if everything you knew about yourself and your family was a lie? What if, when the lies began to crack, beneath them lay a truth so dark and deep, yet so compelling, that it pulled you inside? What price would you pay to live forever? These are the questions confronting Ariela Montero — half-vampire, half-human. 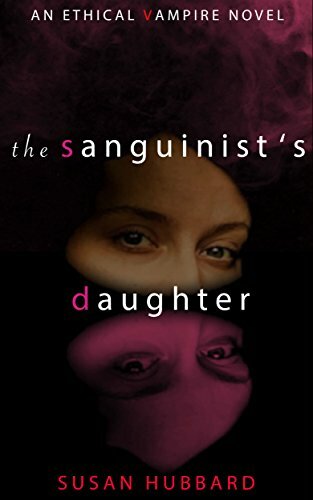 The Sanguinist’s Daughter — the first book in The Ethical Vampire Series — introduces Ari and her world, where ghosts and vampires commune with humans; where Edgar Allan Poe and Jack Kerouac are role models; where every time a puzzle seems solved, its last piece changes the entire picture. THE BACK STORY: Like many of my books and stories, this one began with a dream—actually with a voice in a dream, narrating the story of how her parents first met. I awoke with that voice in my head, and I wrote down the story, which became the novel’s preface. The book grew organically from the preface. Unlike anything I’ve written before, this book announced its structure and scope to me from the beginning. Of course I made changes as I wrote, but by and large the novel is true to my original vision of it. Did I plan to write about vampires? I did not. They sort of crept in on their own. WHY THIS TITLE: Originally titled The Sanguinist, the book was renamed The Society of S by the marketing wizards at Simon & Schuster, who thought most readers wouldn’t know what sanguinist meant. When I was able to republish the series on Amazon, I changed the title yet again to reflect my main character’s identity–and to please myself. In Ari’s world, Sanguinists are one of several sects of vampires struggling to survive on a human-dominated planet. WHY SOMEONE WOULD WANT TO READ IT: Survival strategies matter more to us today than ever before., and my characters confront many of the same problems that we do. The book has been called an intricate mystery that raises provocative questions about the way we live now. 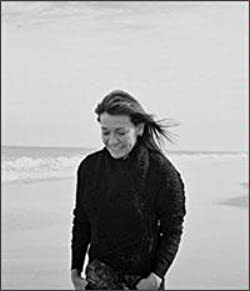 AUTHOR PROFILE: A native of upstate New York, Susan Hubbard has taught writing at Syracuse University, Cornell University, and Pitzer College. She is currently Professor of English at the University of Central Florida, Orlando, where she leads fiction workshops and directs creative theses. She is the author of seven books, including The Sanguinist’s Daughter, The Year of Disappearances, and The Season of Risks–first published by Simon & Schuster, now available as e-books. The series has been translated and published in more than fifteen countries..
Hubbard’s short story collection, Blue Money, won the Janet Heidinger Kafka Prize for best book of prose by an American woman .Her first book, Walking on Ice, received the Association of Writers and Writing Programs (AWP) Short Fiction Prize. She has been awarded writer’s residencies at Yaddo, the Virginia Center for the Creative Arts, the Djerassi Resident Artists’ Project, Cill Rialaig, and the Tyrone Guthrie Centre. AUTHOR COMMENTS: In reinventing vampire lore and legend, I enjoyed questioning cliché’s of good and evil, and imagining new incarnations of the monsters that sleep within us all.